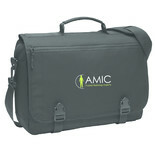 Welcome to the Advanced Medical Imaging Consultants Employee Store! 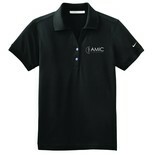 We are excited to offer the following apparel exclusively for AMIC associates, and since Personal Discount Codes have just been reallocated companywide, this is the INITIAL ORDERING OPPORTUNITY for company sponsored gear (and be sure to check out the new products added!!). 1) If you don’t use your entire allotment on this order, the balance will be available to utilize during a subsequent ordering opportunity. If your order exceeds the allotment amount, you will be prompted to enter personal payment information for the balance due. 2) Please note, you will be prompted to enter a credit card number to process your order even if the balance due is less than your allotment amount. The card information WILL NOT be saved and your card WILL NOT be charged unless you exceed the allotment amount. 3) Please be sure to select ‘Pickup at Corporate Office’ as your shipping option to avoid additional fees. 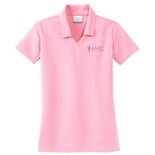 The deadline for orders be placed during this initial ordering opportunity is Friday, April 26th. The estimated timeline of delivery is during the week of May 20th. We make every effort to ensure the availability of any items ordered, however, if an item is on back order you will be notified of the delay. If you have any issues placing your order, please email Lisa at Huston Graphics & Printing for assistance (lisa@hustongraphics.com).